View my new listing for sale at 4539 NANAIMO STREET, VANCOUVER and currently listed at $1,198,000. 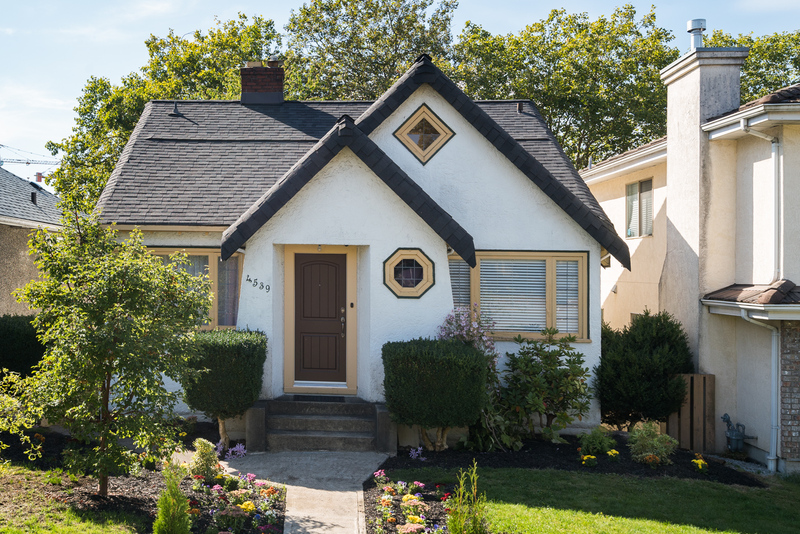 Welcome to this classical style character home in the Cedar Cottage/Trout Lake area. Tastefully updated home with 3 bedrooms, 2 bathrooms, den, and plenty of storage. Main floor: has 2 bedrooms, sunny kitchen/dining area, and cozy living room featuring cove ceilings and wood burning fireplace. The main floor also has updated bamboo wood flooring, and a fully renovated kitchen and bathroom. Upstairs: is a lofted attic space with a spacious master bedroom, full bathroom, den/office/kids bedroom, walk-in closet, lots of storage and a skylight. Downstairs: is a partially finished 7’ high ceiling basement with its own entrance, laundry area, workshop, with perfect rental suite potential. Situation on a sunny 33’x122’ lot with large back yard facing General Brock park, and zoned RT-11N (Duplex). Great family home with development potential including duplex and lane-way home. View my new listing for sale at 402 - 345 WATER STREET, VANCOUVER and currently listed at $549,000. Beautiful heritage converted loft in Gastown at the “Greenshields” building, an architectural gem designed by Alda Pereira. The attention to detail and design within this home will impress the architecture enthusiast. Open concept large living area, offering (approx) 682 sq.ft., 10’ ceilings, exposed brick walls, reclaimed double hung windows, and restored maple wood flooring throughout. This loft has a large storage room/den, separated bedroom with sliding Rumples partition walls, well-appointed vintage-modern styled master bathroom, and a large kitchen with high grade stainless steel appliances, and black stone countertops. All this only steps to transportation Hub, Vancouver’s newest restaurants, shops and venues. Beautiful heritage converted loft in Gastown at the “Greenshields” building, an architectural gem designed by Alda Pereira. The attention to detail and design within this home will impress the architecture enthusiast. Open concept large living area, offering (approx) 682 sq.ft., 10’ ceilings, exposed brick walls, reclaimed double hung windows, and restored maple wood flooring throughout. 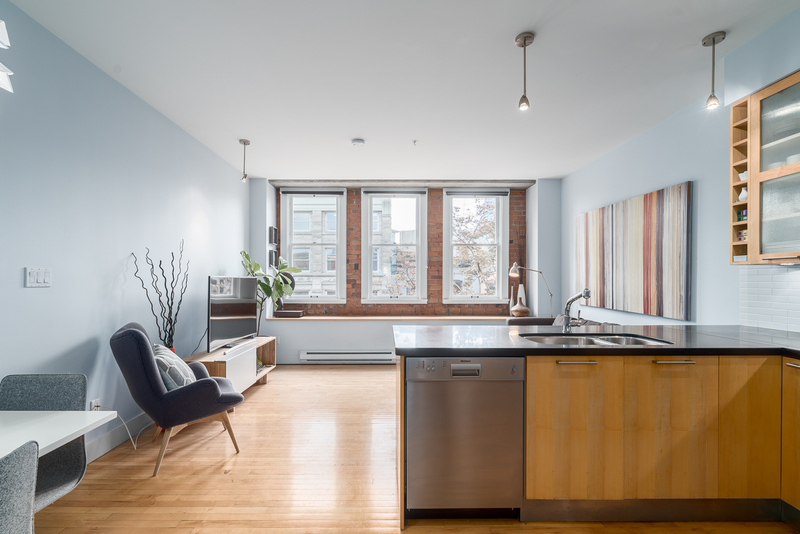 This loft has a large storage room/den, separated bedroom with sliding Raumplus partition walls, well-appointed vintage-modern styled master bathroom, and a large kitchen with high grade stainless steel appliances, and black stone countertops. All this only steps to transportation Hub, Vancouver’s newest restaurants, shops and venues. Situated on a 50’ x 112’ lot in prime South Granville,this well cared-for 3 level restored 3214 sq.ft. Character home with 6 bedrms, 2 kitchens, & 2 bathrms. Main floor:has beautiful original inlaid wood flooring,cove ceilings in the formal living & dining room,large fireplace,antique style wood features,2 bedrooms,den,& a fully renovated kitchen walking out onto a sunny South facing 306 sq.ft. rear patio. Upstairs: is a large loft/living area with skylight. Downstairs: offers a laundry room, rec. room, 3 bedrms, kitchen, bathrm, storage area, den & a separate rear entrance - perfect for a potential suite.Nicely maintained landscaping with private South facing back-yard and lane access.Located across the street from Shannon Mews Park & the Restored Mansion.Close to Vancouver’s best schools.